For those of us living in the southern hemisphere, the warm weather is here. At last the sunny days of short sleeves and bare feet has come! 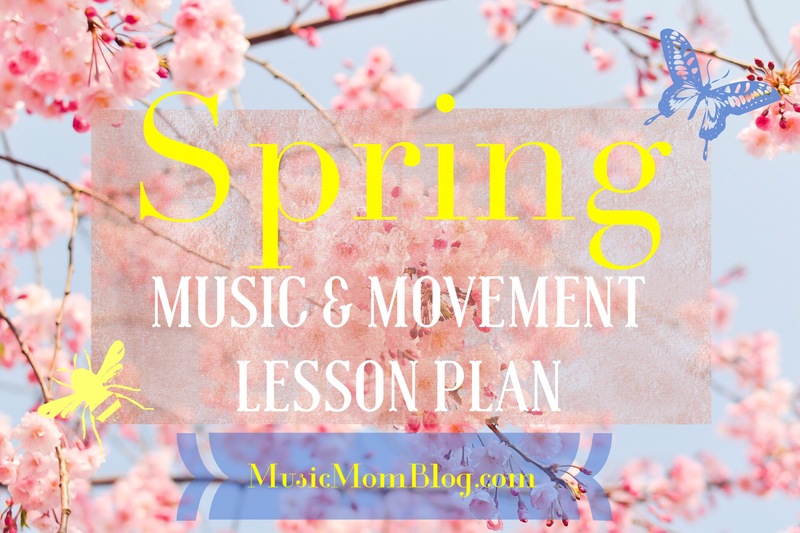 Then for those of you in the northern hemisphere – how about y’all just save this lesson plan for future use! It’s one to look forward to for sure! Find a few different beautiful pictures of spring such as blossoms, different coloured flowers, butterflies and bees pollinating flowers. As always, do familiarise yourself with the songs prior to the class. Bring along small percussion instruments for the children to use, such as small drums, maracas or bells for the Instrumental Activity. Prepare some popcorn beforehand to bring for the children to have as a treat after the lesson! Use 2 or 3 simple songs at the beginning of every lesson just to help the children feel familiar and confident. You can use a parachute that all the children hold onto in a circle in different ways for each song. It’s okay too if you do not have a parachute – you may use a big colourful blanket or none at all. I’m a Little Teapot – Using a parachute for this one may not be practical, because the children need to use their arms to be the teapot’s handle and spout. Eensy Weensy Spider – Use the parachute to move with the up’s and down’s in the song. Introduce the Spring theme using the pictures you found. Have a little discussion of some of the children’s favourite things about Spring. Teach the children the song Sing A Song Of Flowers – The Kiboomers. This song is a simple song to learn quickly. It especially develops the children’s memories with the order of the different colours of flowers. Be creative with the actions! In the springtime, the animals all love to come out from their hibernation and be outside in the lovely warm weather! The rabbits love to run fast and the tortoises like to walk slowly. The children will learn about tempo in music. Explain what tempo is: How fast or slow the music that is being played sounds. Use the portable instrument(s) that you brought to demonstrate fast and slow playing. You can choose any song you know how to play to play fast and then slow. Teach the children that the real musical name for fast is presto and the real musical name for slow is largo. You may add that these words are Italian – a different language in the world that is used for musical terms. Now it’s time to practice playing fast and slowly! Call out to the children to play fast like the rabbit and then slowly like a tortoise on their percussion instruments, so that they understand the concept of fast and slow. Emphasize also that when they play fast, it doesn’t necessarily mean to play loudly and vice versa – when they play slowly it doesn’t mean play softly. Display a picture of the composer Antonio Vivaldi and explain that he lived long ago in the 1600s in Italy. He was a very talented musician and composer. He composed beautiful songs about the seasons. One of them was of Spring. Play percussion instruments to the song, specifically practicing how to play fast and slowly. Change things up with different actions with the percussion instruments. Play gracefully as a butterfly or move in different directions; stretch upwards onto tiptoes or twirl around like a “spring flower fairy”. Be sure to cut the song short once the children have lost interest. For one last fun activity song, do The Ice Cream Song – Super Simple Songs – ask the children by a show of hands who loves to eat ice cream! Treat the children to some popcorn. Explain that popcorn looks like spring blossoms on the trees. They will love it! Superb work, Camilla! Your blogs have a very warm and yet professional feel about them, I like the fact that busy moms will find it useful but not too much. We love you! Dad. Christoffel Golden.